Lisa Highton at Two Roads has signed a book by Brendan Cox about his late wife Jo, the young Labour MP who was murdered last year. 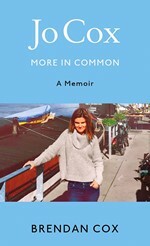 Two Roads has world rights in Jo Cox: More in Common through Karolina Sutton at Curtis Brown, and will publish on 15 June, the day before the first anniversary of Cox's death. All royalties will go to the Jo Cox Foundation. Highton said: "“We're immensely proud to be publishing this moving and inspiring memoir which gives us all the pleasure of getting to know Jo better and to be inspired and motivated by what she stood for." Brendan Cox said: "When I spoke in court during the trial I told the jury that having heard so much about the manner of Jo's death, I wanted to tell them about her life. The objective of this book is the same. To tell people who didn't know Jo who she really was. In an era of growing hatred and division I wanted to tell the story of someone who brought love and empathy to everyone she met. 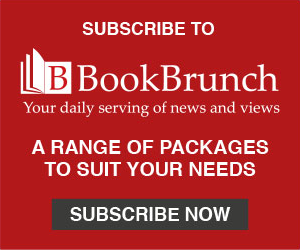 "Writing the book has been extraordinarily hard. But it's also been part of my grieving process. Coming to terms with what happened but also remembering the adventures and love of life that our relationship was built upon. Jo packed a lifetime of excitement into her 41 years and the book touches on some of the highlights. "I also hope the book will raise money for the causes that Jo supported which is why I'm giving all my royalties to the foundation that we've set up to take forward Jo's passions."